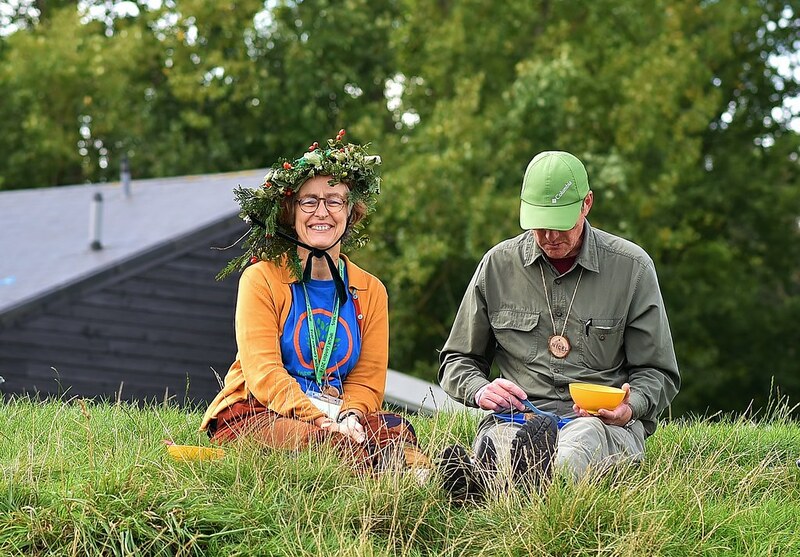 The national permaculture convergence is returning to the fields in 2019. We'll be at Hill End - an activity centre with 65 peaceful acres. 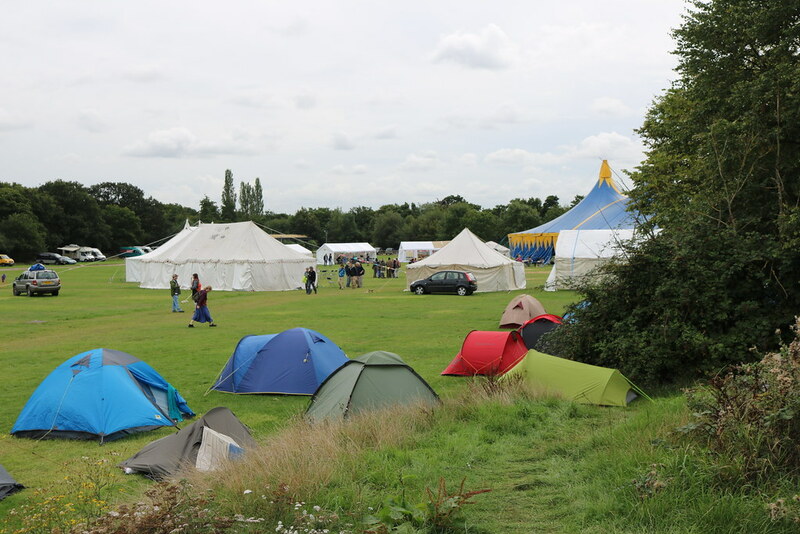 On the outskirts of Oxford, there's camping, dormitories and lots of spaces to meet onsite. "A place of possibilities," they say on their website. The convergence is bound to be a thriving hub of ideas, networking and sharing of knowledge. There will be chances for dancing and for research and learning. Hill End hosted a national convergence in the 1990s, so it's exciting to be back after so many years. It’s a good time to look at our growth as an organisation, over 35 years of developing permaculture in the UK! News just in about our first programme contributors, who are some inspirational women we know you'll want to meet and learn from: Alys Fowler, Steph Hafferty, Brigit Strawbridge Howard, Maddy Harland and Looby Macnamara. 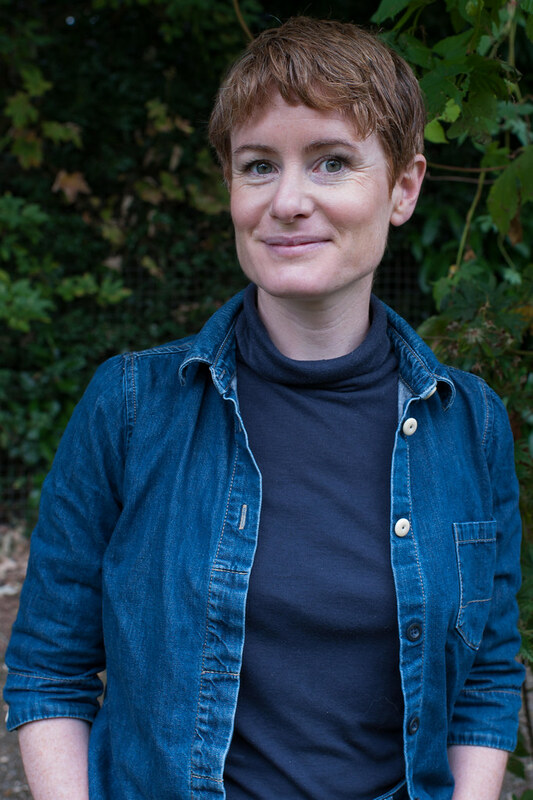 Gardener, writer and presenter Alys Fowler (pictured) writes a weekly gardening column for The Guardian Weekend Magazine and is well-known for presenting BBC's Gardener's World and her own series, The Edible Garden. She has published many books, including The Edible Garden and The Thrifty Gardener, and loves foraging. Permaculture is a common thread throughout her work and we're looking forward to hearing more about it! Maddy Harland, author and editor of Permaculture Magazine, is a passionate promoter of permaculture solutions and a wealth of knowledge on the subject. This year's convergence won't be the first time that Alys and Maddy have been in the same place at the same time - in 2010 The Edible Garden series visited the Harland's forest garden in Hampshire for an introduction to permaculture. "Permaculture has allowed me to meander on my own path supported by like-minded people, a sense of purpose and a belief that together we are bringing about positive change in the world," says permaculture teacher, designer and writer Looby Macnamara. She lives at Applewood Permaculture Centre, a training and demonstration centre for regenerative solutions and is constantly looking for news ways to facilitate cultural change. No-dig organic gardener and plant-based cook Steph Hafferty has written No Dig Organic Home & Garden and The Creative Kitchen. She's a great advocate for small-scale homesteading and will bring her extensive practical tips and experience along to share. Brigit Strawbridge Howard admits to being more than a little obsessed with bees since she was a child. When she realised their importance as pollinators, she began raising awareness about how vital bees are within a permaculture system. Book your ticket now or keep reading for more details on the convergence. Sign up to receive email updates and hear news before anyone else! Every convergence is unique but underlying them all are some common features. 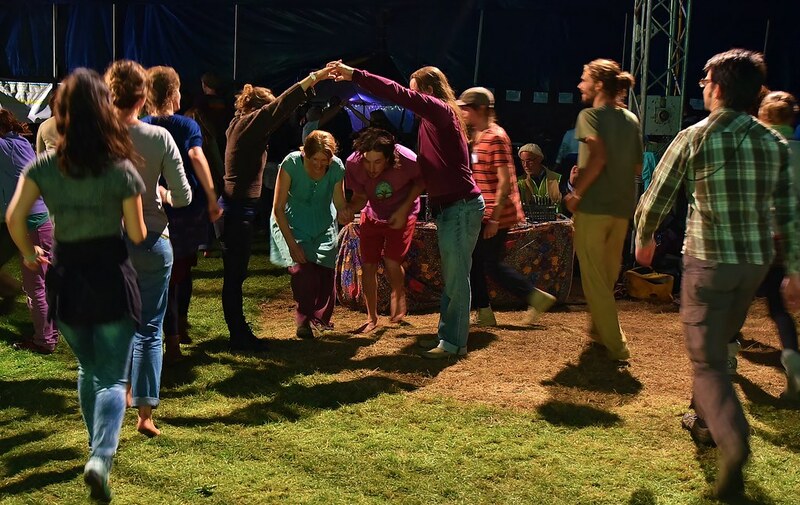 A rural convergence sits somewhere between a conference and a festival in a field - it is a place for those interested in learning more about permaculture to meet, eat, share skills and learn together. “A fantastic way to meet positive people doing useful things.” - convergence 2018 participant. 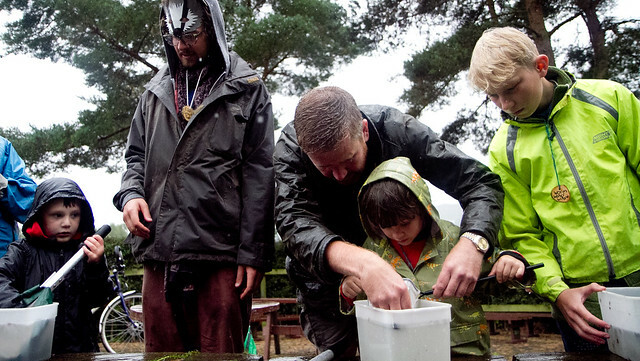 We have been organising events for decades, making those critical face to face connections possible. In 2015 we brought together over 1000 people from 72 countries to the international permaculture conference and convergence in London! 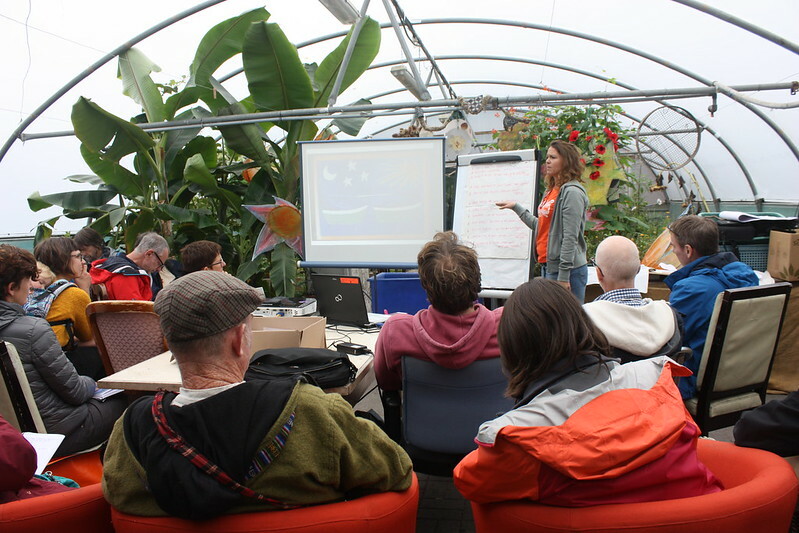 Since then, national convergences have helped to strengthen our network and our support for regional gatherings means permaculture is growing across the UK. Read this blog post for a personal account of what a convergence is like. Gates open at 2pm on Friday 6 September. Activities begin at 4pm. Event ends at 3pm on Sunday 8 September. Read the convergence pack for more details. Hill End has 150 dormitory beds and 4 acres of camping space, more than enough to house all of us wishing to stay. Accommodation is optional. Camping is in a delightful flat meadow with a timber toilet and shower block. More details here. Dormitory accommodation is spread across 4 blocks. It is fairly basic with up to 10 beds in each dorm. All dorms have toilet and shower facilities. There will be a specified ‘family dorm’ block with rooms for those with children to use. Some have kitchens available for use. All dorms will be either exclusively for male or female use. If you’d like to sleep in your live-in vehicle (i.e. campervan) it’s £50 for Friday and Saturday nights. Campervan accommodation is at Valley Farm Campsite, which is 900 metres from Hill End, on Eynsham Road. We will facilitate lift-sharing between the campsite and Hill End. Electric hook-ups can be booked separately. Additional nights are also available. We will send a form requesting extra details after you have booked your convergence tickets. There is very limited car parking on site for just 90 cars within the main car park. Car parking for the weekend costs £15 and must be booked in advance. Please arrange lift shares wherever possible! We will be providing transport from Oxford railway station for a small fee. Further details about transport options will be announced in the next months. The convergence is a family-friendly event. A full children’s programme will be provided for the over 5s. The programme will be a combination of learning and fun activities, led by a qualified, DBS certified educator. Children's meals are included in children’s tickets. We invite you to make the event! One special thing about a permaculture convergence is that it is co-created by its participants. We'll be asking for workshop offers, music, volunteer crew and other contributions soon. We have a working group of members helping to co-create the event. We will be surveying to ensure the programme meets the needs of the network, and that the convergence can help upskill our efforts in spreading permaculture. We will have a marketplace for those selling permaculture-inspired products and ethical organisations to promote the work they do. Read the convergence pack for more details on the event. There is a 15% discount for members. To receive this, please sign in to the website with your member login or become a member now. 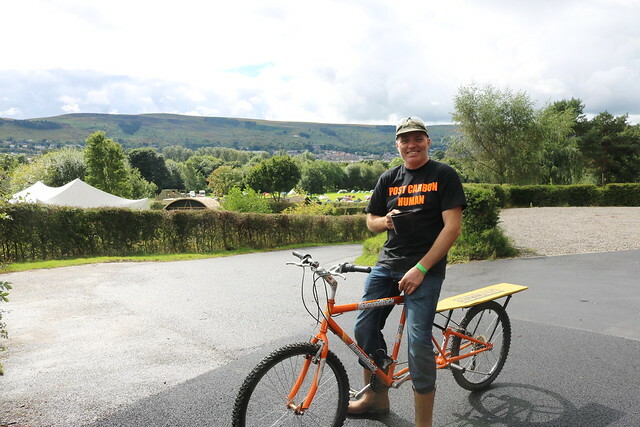 Up until 30 April 2019, you can secure your place at convergence simply by paying a £40 deposit with the balance due by BACS by 31 July 2019. Details of payment will be sent to you after booking. 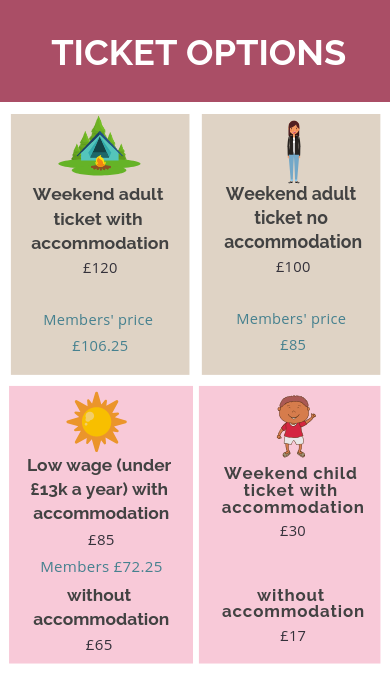 For those on lower incomes of under £13,000 a year, or those with disabilities (visible and hidden) there is a reduced rate ticket available. We offer a Pay-It-Forward option for those wishing to make a donation towards supporting an additional person attend on a bursary. Each £85 allows somebody who could not otherwise attend to do so. I'm in! What can I do now? Sign up to receive email updates about the convergence. Think about contributing a workshop or other content. Applications will open soon! If you'd like to know a bit more about permaculture, explore our 'The basics' page, Knowledge Base, and YouTube.